Known for writings such as Kurama Tengu (“The Tengu of Mt. Kurama”), Paris Moyu (“Paris is Burning”) and Tennono Seiki (“Century of Emporers”), Osaragi Jiro, literary master of the Showa Era, was such a cat lover he is quoted as saying “Cats are my companions for life,” and he was always surrounded by a dozen or more cats. He produced some sixty volumes of writing dealing with cats, including the longtime best-selling children’s book, Suitcho Neko (“Suitcho the Cat”). 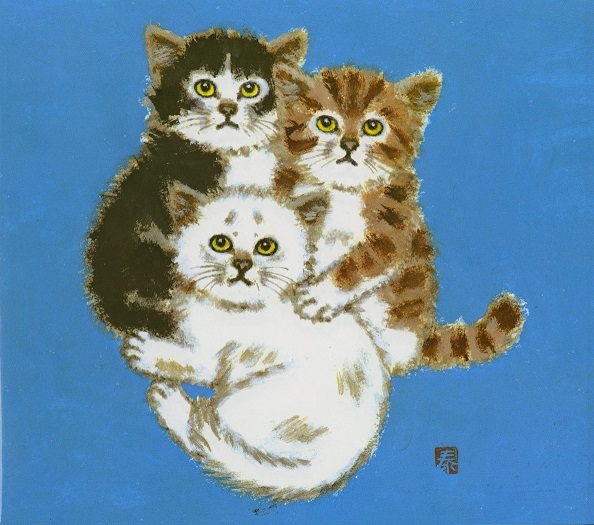 In commemorating the 120th anniversary of Osaragi’s birth, we will reflect on his works, and introduce his diverse collection of cat dolls, cat ukiyo-e and other cat-related pieces.